‘This is about our prosperity tomorrow,’ Chancellor Angela Merkel asserted in her speech at the Digitising Europe Summit in Berlin. Fixing holes in mobile internet coverage and implementing new 5G technology are high on the EU agenda. All the while, Europe’s media sphere is still fragmented. Deliberative democracy requires a public sphere in which its discussions can be held. In Europe, we have a political union and share a collective culture and millennia of history. We enjoy a common currency and an infrastructure that enables us to cross the continent within hours. But there is no significant transnational European public sphere, no communicative Eurozone. Public discourse is still largely taking place within the framework of its nation states – that is, in national-state or national-linguistic separate communication spaces. Yet a functional transnational democratic system requires a certain linguistic and cultural homogeneity, which currently only exists at nation-state level. The way in which Europe’s public sphere is structured, its current media landscape, is inadequate if not downright dysfunctional. Lingual and cultural segregation lead to fragmentation and ‘piling’ – inhibiting the flow of news and discourse even in spaces that are meant to bridge these divides. Remarkably, the issues and debates that dominate this year’s European Parliament election campaigns are starting to show congruence in the EU member states. In previous elections, domestic issues prevailed. The toxic divisiveness of the Brexit debate, the ‘climate catastrophe’, social disparity and perceived geopolitical threats by China, Russia and the US are all contributing factors to the collapse of euro-scepticism; even anti-European discourse is becoming trans-European. Even as there are promising signs of multilateralism of late, the European public sphere is still in its infant stage and generally not perceived as holding sufficient potential for countering growing nationalism. Just as fascism needs its fertile ground of group egocentrism to thrive, nationalism can only flourish in monolingual echo chambers. A vital pan-European public sphere that enables, supports and protects democratic debate is the best defence against the forces that threaten it. As consumption of classical media is declining, social media have become ubiquitous, playing an increasingly important role in individual news gathering patterns. While this comes at a price – commodification of news, media monopolies, blurring of fact, opinion and falsehood – dissociation from hierarchical media structures also offers new opportunities for reaching audiences beyond national borders, to foster exchange and encounter. Small, independent media organisations are taking the lead while public broadcasters and media houses, with few exceptions, have been late to the debate and are yet to implement meaningful action. Only a handful of media outlets currently qualify as ‘European’ in terms of mission, scope and editorial practice: Al Jazeera, Arte, Café Babel, EUobserver, Euronews, euro|topics, Eurozine, New Europe, OpenDemocracy, Politico and VoxEurop are among the better-known titles. Europe’s new media sphere is emerging from networks of local start-ups rather than from traditional media. As novel media spaces are emerging, pan-European start-ups will find new ways of networking and building capacity. Bottom-up initiatives like ‘Wir Sind Europa!’ are connecting journalists all over Europe. Aggregators, search engines and social networks will likely play an important role in the future as their integration into editorial practice proceeds. Yet for now, sustainable journalistic pan-European business models are short at hand. The EU is a confounding factor in the debate as its current priorities are elsewhere. In terms of policy, a case can be made for action to incubate and support tomorrow’s media: The handful of pan-European grass-roots media initiatives that currently exist have yet to achieve the economy of scale that is necessary to become – and to remain – economically viable and independent. Public broadcasters for their part struggle with their licenses to operate as they are no longer synonymous with their nation states. The predominance of social media is forcing them to engage on private global platforms to stay relevant to their audiences. They can only adequately fulfil their missions if they continue to offer ‘public value’ and reach sufficiently large audiences. 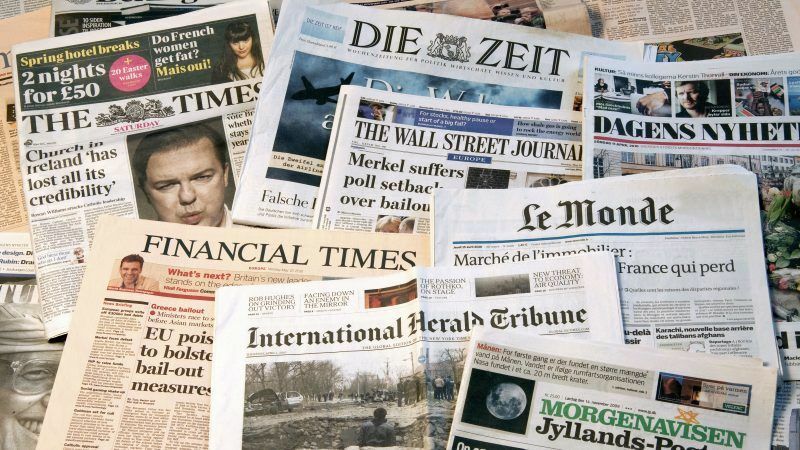 Media convergence has created unprecedented potential for synergy and economies of scale, yet the debate on the future of the pan-European public sphere has been simmering on the back burner for years. Now is the time to gently pull it forward, to share our best ideas and to act. Without a pan-European media sphere, there cannot be a pan-European identity. Even as this issue has not yet arrived in the mainstream, a sense of urgency among media practitioners and academics is in the air. It will hopefully soon be translated into tangible results – and into political demands.